Are you frustrated with your daily hectic routine and is eager to make a trip to abroad or anywhere in India for some quality time for yourself with your loved ones? Well, we understand its not that easy when you are already having a tight schedule and no time to spare to even book tickets. So how about booking tickets in the blink of an eye? And above all, how about getting exclusive deals which make you more excited and confident to make your trip happen? 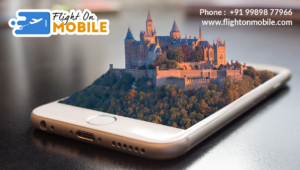 Now you can book your tickets for anywhere with Flight on Mobile, where you will be able to grab various exclusive deals. Anyone with access of mobile internet can book their tickets without trouble. 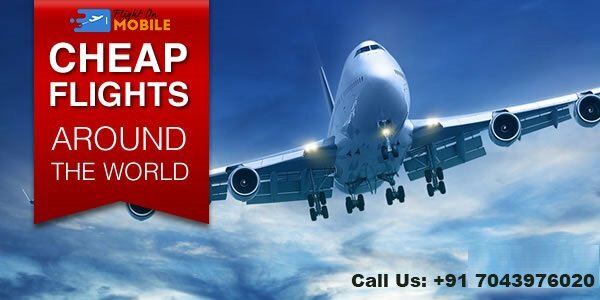 You just need to put the name of your nearest airport and the destination you are traveling to. Our Flight Booking Portal updated you with everyday offers so that you can avail the best deals. Our user-friendly portal is designed in a way, so that even an amateur can use without much trouble. You can book tickets from anywhere instantly no matter where you are heading for. We offer you exclusive deals and update it on our homepage where you can avail the best offers. Our 24*7 support team is always ready to help you out with any queries. You can compare the prices of different airlines and can select according to your comfort. The cancellation/ refund policy depends on the airlines but in Flight on Mobile, you can check the fare rules at the time of booking. In case of refund, we credit your money back to your account that you used to book tickets within 4 working days. We value your privacy and so we follow appropriate measures to protect it on our portal. Online Flight Booking Portal must update required features and add new features to compete with the market and most importantly it should make surfing and ticket booking process convenient for users.